Citroen XM – oooh, rust! – HubNut – celebrating the average! Citroen XM – oooh, rust! The Citroen XM has a pretty good rust reputation. That means it gets really quite rusty after 20 years rather than 10. Mine is almost 20. I bought it knowing it’d need some tickling with a welder but here’s the thing I stupidly still haven’t learnt. 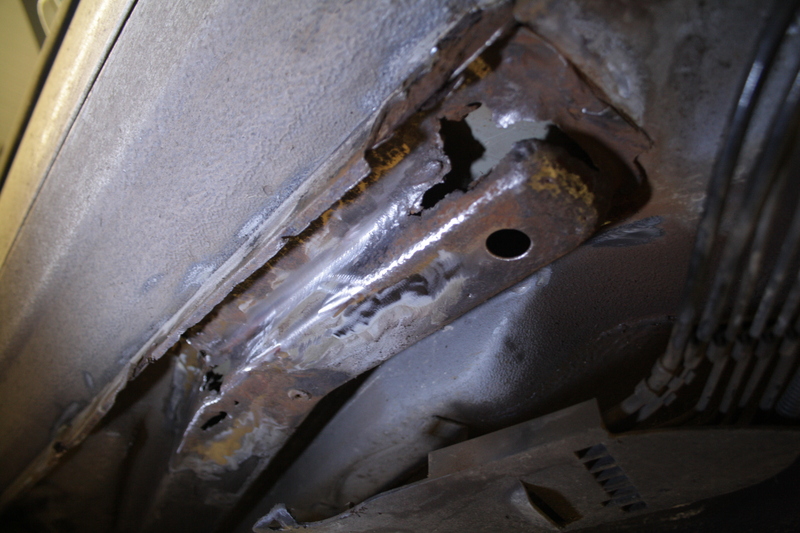 If you spot a bit of rust on inspection, you’ll find a lot more once you start prodding! The rear of the offside sill I knew about when I bought the car, as I put my finger through it. The rot around the offside strut top I discovered when fitting new tyres. Just as picking at a bit of wallpaper in your lounge can suddenly turn into a complete redecorating job, so it follows that picking at a bit of loose underseal will result in a major welding session. Yikes! Cleaning the underseal off reveals issues. As Pete of Sparrow Automotive desperately tried to weld up the XM, I was rushing ahead to clean up the sections that we’d found to be a bit soft. 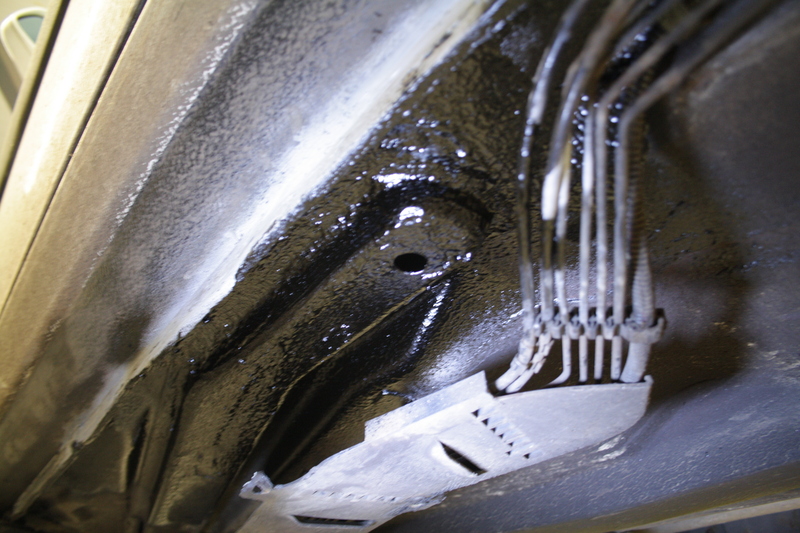 The XM is very well protected by underseal – thick rubbery stuff that does a very good job of keeping it solid. The problem comes if that gets breached. Then, water soaks in behind it and rots out the metal completely out of sight. Any flaky underseal I saw got removed and thankfully, most of it hid only solid metal. 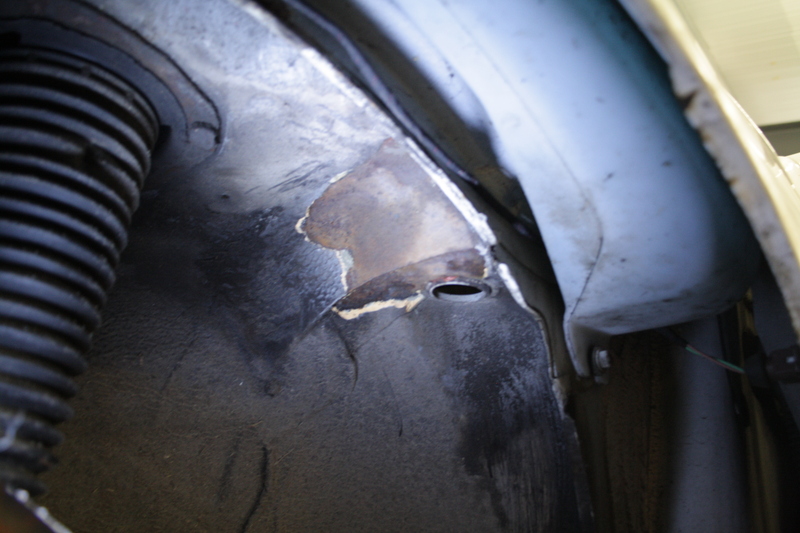 That was certainly the case in the nearside front wheelarch, where all I found was surface rust. I’d acted just in time. I should thank Pete really though – he thought it’d be a good idea to strip the wheelarch liner out on the nearside and have a look. After all, the nearside is usually worse than the offside. Not on this car! It was apparently that I’d caught quite a lot of rot just in the nick of time. How brilliant it was to be doing this job with a two-post lift though! Some of the repairs were properly tricky, with Pete having to form carefully shaped repair pieces. It’s amazing what a time-thief this sort of work is. Even when the welding was completed, we then had to wait for the zinc primer to dry before being able to underseal the repaired and cleaned sections. While Pete went off for a well deserved dinner, I slopped Waxoyl over any other vulnerable looking bits – like the front subframe and rear suspension. The underseal took ages to dry, but we were then finally able to refit plastic trim and ducts – as visible above – for the hydraulic pipes. They were also treated to a coat of grease while we were at it. Somehow, this all managed to take 11 hours! It was a long day, and then I had to drive another 1hr 45 minutes to get home. I slept soundly last night! I’m glad to have got this work done though. I like the XM very much, so I can now use it through the winter with a lot more confidence. There are still jobs to do though – the sills still need stonechipping and then painting. We never did find time to change the strut top either – necessary as the rubber has delaminated quite badly. Again, on the offside. A tough day, but a day well spent. Many thanks to Sparrow Automotive.